(April 4th, 2016) The United States has told China it will not recognize an exclusion zone in the South China Sea and would view such a move as “destabilizing,” U.S. Deputy Secretary of Defense Robert Work said. In what might be a sign of a tougher stance, at least rhetorically, against China’s military expansionism in the South China Sea, the U.S. has emphasized that it won’t recognize any exclusion zone declared by China around the islands and reefs that it has been seizing and building on in the sea, through which goes 30 percent of world merchandise trade. 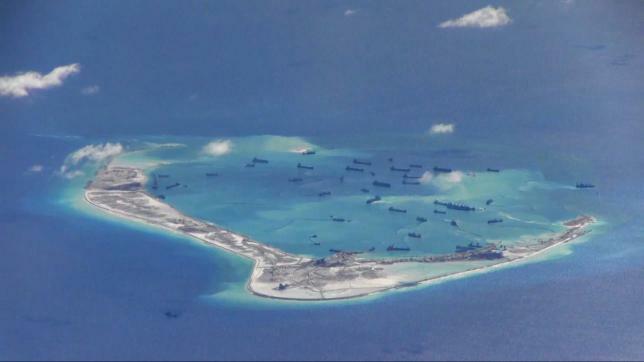 U.S. officials worry that an international court ruling expected soon in a case brought by the Philippines against China over its South China Sea claims could prompt Beijing to declare an air-defense identification zone in the region, as it did in the East China Sea in 2013. The U.S. doesn’t recognize that zone. America, Vietnam, the Philippines and Australia have been pushing back against China’s stepped-up efforts to become the dominant power in the South China Sea.